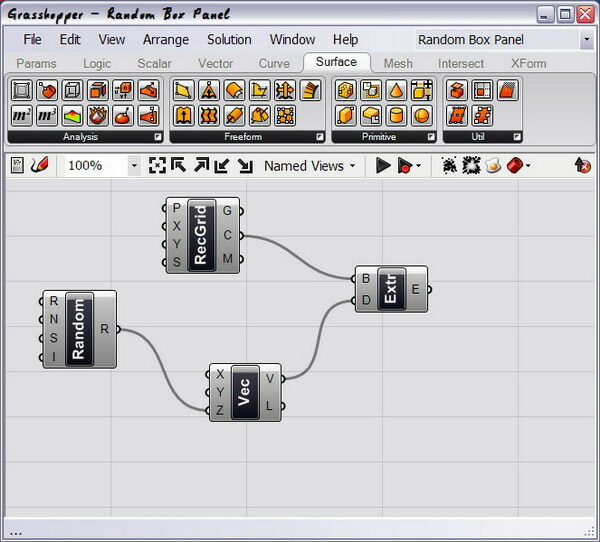 Inspired by one of David Fano’s recent blog posts, I decided to give Rhino’s Grasshopper plugin (formerly called Explicit History) a try. It is pretty amazing what can be done with it and how easy it is to use. I haven’t venture too far at this point – there’ll be more to come when I get the hang of all the functions. In this little exercise I modeled a grid of randomly extruded squares that would then be cut out of a panel. The panel is shown at the bottom of this post as a rendering, which was produced in Kerkythea. The image above shows the net that created the random extrusions. 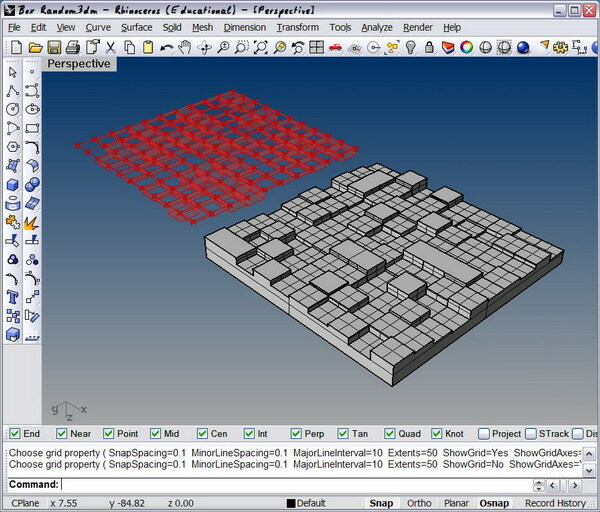 The RecGrid component produces the grid and outputs 100 square polylines. The extrusion height is controlled through a vector component, which is fed by a random number generator. On the left of the above image is the “baked” result of this operation and on the right is a cut out panel. 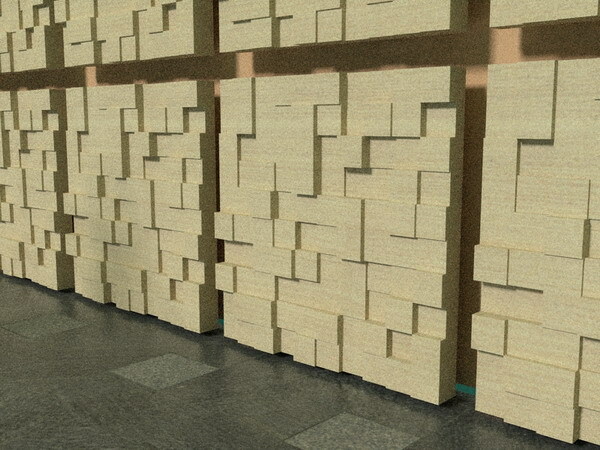 Finally, this is a rendering of the panels on a wall. I used the MLT (BiPT) setting in Kerkythea and 9 passes were enough for this image size.